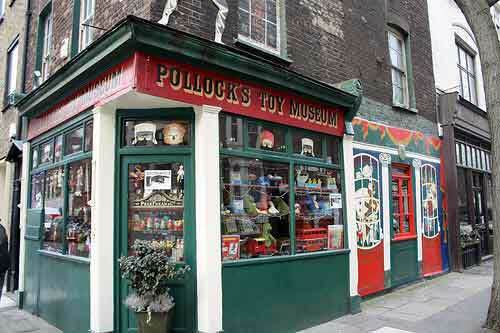 This toy museum is quite simple charming, there is no other word for it and as such is an absolute must see for any toy loving visitor to London. This is not a large museum and will probably only take you an hour at most to explore the rooms and everything in them. 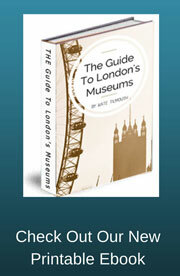 The museum is housed in two adjoining houses, one from the 18th century, and the other from the 19th. Each room is connected via narrow hallways and if I remember correctly a couple of rickety stair cases (not really they were quite safe). Giving the museum a lovely cosy warm feeling and not like any other museum you have ever been in before. 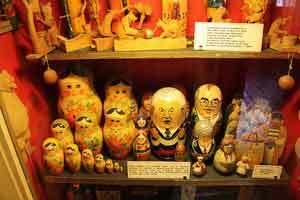 Every room of the museum is packed with toys, games and dolls, look into any nook and cranny and you will see something to delight. Children ranging from the age of 0 to 100 will love this museum I guarantee it and should not be missed. The Pollock Toy museum is named after Benjamin Pollock who made toy theatres. In honour of him there is a whole room dedicated to the toy theatre, with all its colour and glitz and if this gets your creative juices flowing, you can even purchase ready to assemble theatres for yourself from the small shop downstairs. There are six rooms in total in this small museum, each dedicated to a certain aspect of childhood toys. Evan as you climb the stairs you will be charmed by Board Games on staircase 1 and Folk toys on stair case 2 which line the walls and cupboards. This 2 minute video will walk you through the museum so that even if you don't get the chance to visit you will still be able to see some of the toys on display.